Looking for a work shoe that works as hard as you do? Look to the Florsheim Polaris Composite Toe Lace Up. 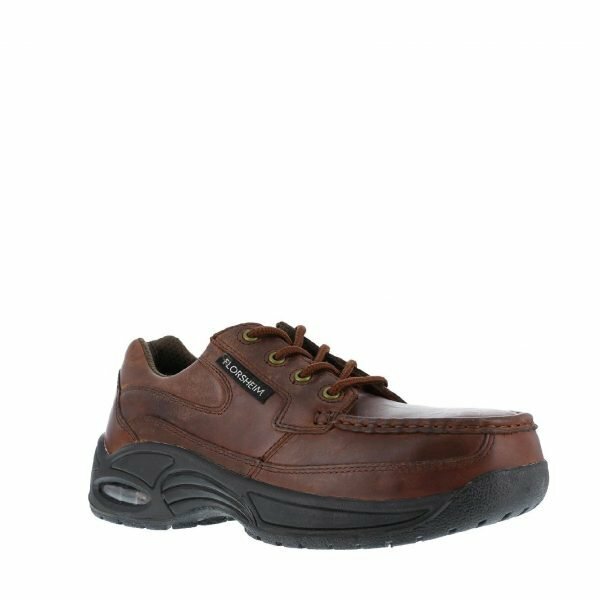 This work shoe features a leather upper, moisture absorbent Cambrelle linings, a soft polyurethane midsole, non-marking rubber forefoot, and heel plates, and a heel pad for all-day comfort. Florsheim boots have been standing up to hard work since 1982. With unmatched comfort and technology, Florsheim boots are great to wear for work or casual dress! These shoes feature a genuine black leather foot under a matching, lace-up vamp. Shoes boast a slip-resistant outsole. Moisture-wicking mesh lining. Safety composition toe.